The Barrington Board of Education this month shuffled days of through the rest of the current school year and agreed to a plan for the calendar for next year. The 2013-2014 calendar required late modifications due to the higher-than-expected number of snow days. The schedule approved last year included options for up to three snow days, but the administration closed the district six times this school year. — March 21, formerly a day off from school, has been changed to a half day of school. — April 23, 24 and 25, formerly part of spring break, have been changed to full days of school. — Two additional snow days will be cut from the calendar. 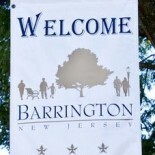 Barrington students have a 182-day school year. Dropping these two additional days will cut the school year to the state-mandated 180 days. — Sept. 1: Labor Day, school closed. — Sept. 2: Teacher orientation, school closed for students. — Wednesday, Sept. 3: School opens; half day. — Oct. 10: School closed. — Oct. 24: Half day. — Nov. 4: Election Day, school closed for students. — Nov. 6-7: School closed. — Nov. 26: Half day. — Nov. 27-28: Thanksgiving break. — Dec. 2-4: Parent conferences, half days for students. — Dec. 23: Half day. — Dec. 24-Jan. 2: School closed. — Jan. 16: Half day. — Jan. 19: MLK Day, school closed. — Feb. 16: Presidents Day, school closed. — March 19: Half day. — March 20: School closed. — April 3: School closed. — April 6-10: Spring Break. — May 1: Half day. — May 25: Memorial Day, school closed. — June 15-17: Half days. — June 17: Last day for students. — June 16: 8th-grade graduation. Total days: 182 for students, 186 for staff. If one day is missed due to weather, it will be made up by making March 20 into a half day. If two days are missed, March 20 will remain a day off, but the final two days of Spring Break, April 9 and 10, will become full days. If three days are missed, March 20 will be a half day, and April 9 and 10 will be full days. We all hope it won’t get to that level or more, as it did this year. This entry was posted on March 18, 2014 by Barrington Bulletin in Schools and tagged school calendar.